Try this rich tasting lemon zest yogurt dressing that wonderfully compliments your fruit – and makes you rethink your favorite healthy dessert recipes! 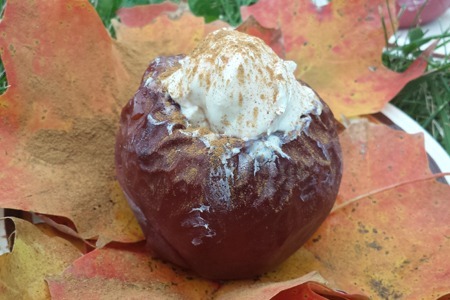 My October trip to the Finger Lakes in New York sparked me to create this simple and delicious dessert – Autumn inspired Baked Apples . I think it’s a great addition to our healthy weight loss recipes. Looking for low fat dessert recipes? Look no further! 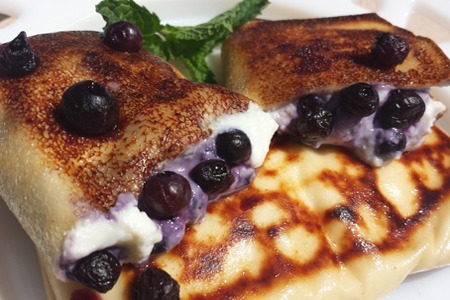 Gooey, rich, sweet and delicious. Not possible on a diet, right? WRONG. 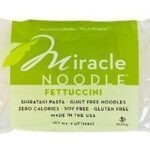 You can enjoy our healthy recipes with this and other low fast dessert recipes, and still “Live It”. The best part, it’s a hearty breakfast treat, an indulgent change of pace entrée or a perfect sweet end note to your meal. 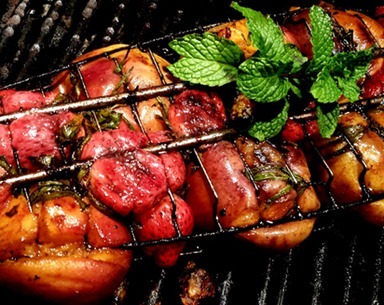 This grilled fruit recipe is one of our easier healthy recipes. 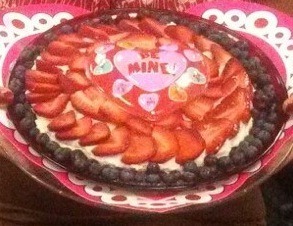 This treat is perfect for Valentine’s Day or anytime you want to share sweet, healthy recipes with your sweetie! 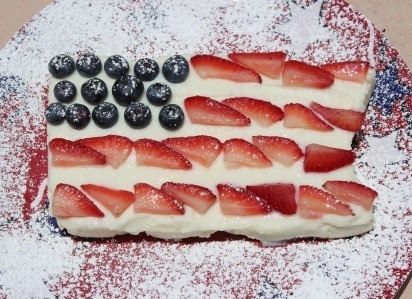 This tasty, diet friendly dessert is great for Memorial Day, Veterans Day, Fourth of July or ANY day you're feeling patriotic! 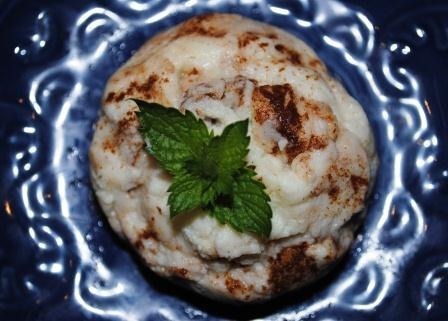 A delicious dessert made with Cinnamon and Ricotta. 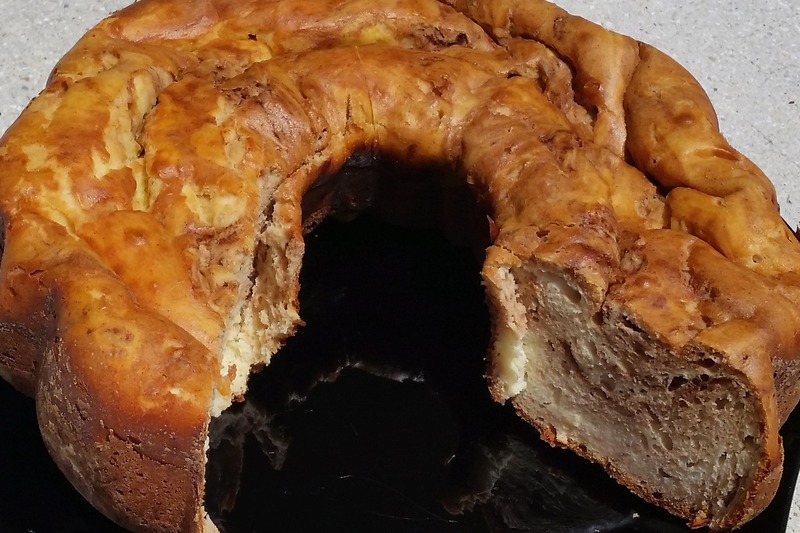 Our healthy recipes will satisfy your sweet tooth! 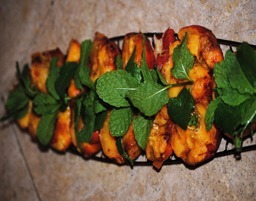 Another grilled fruit recipe. I love grilled fruit! While you are grilling your fish or meat, grill fruit as part of your healthy recipes for a tasty dessert. 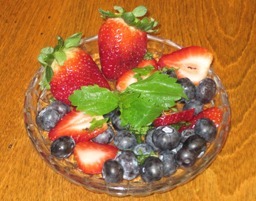 What could be better than fresh strawberries and blueberries? Nothing I know of!